The mainstream media censors everything which does not fit into government's untrue or misleading perceptions about society, history, neighboring countries and so on. The media misleads the public by attacking people who try to speak out on these (hushed) things. This has taken place a number of time. Some Finnish newspapers are aggressive if anyone dares to speak out on these things. They have so far kept on censorship and been silent on certain things. It is worrying that usual people in Finland often do not dare speak out on these issues. The title picture of this page tells in Finnish about Sweden's territorial claim over Northern Finland in 1915-1918. Only this issue of 1935 has mentioned Sweden's attempt to annex Northern Finland. Oddly enough, Sweden's territorial claim was never published in a Finnish newspaper. As far as I know Finnish TV, newspapers and magazines have never written about this historical event since 1935! This is an obvious example of censorship. In Finland many historical facts are often censored. Finnish TV channels, newspapers and magazines have to fit their news, stories and articles into political ideology of Nordic cooperation. Anything which does not fit into political ideology of Nordic cooperation, will be hidden from the people. The Finnish media does not even pretend to be fair. Finnish journalists are promoting the elite and its agenda and Swedish government as well, and the media hates their opponents and journalists don't want to say anything bad against their favorite politicians. The Finnish media covers up anything which does not fit into official Nordic ideology. The media does not pay any attention to many issues and it consistently disseminates propaganda. The media is more interested in glaring headlines rather than actual content of documents. Finnish TV station YLE has consistently advertised a certain Swedish furniture store since 2005. At the same time YLE has ignored most furniture stores and did not give them any publicity, regardless of their size. There are many domestic firms which never get publicity on TV. This hints at corruption and political parties, which have control over YLE. Surreptitious advertising refers to secretive communication practices that might mislead the public about products or services. 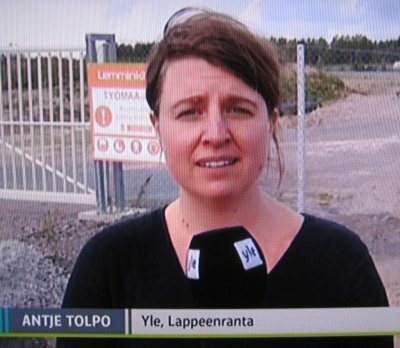 YLE regional TV news presenter Marjo Pirilä is advertising the Swedish furniture store, when it has bought a building site on September 2, 2016, program TV1 Kaakkois-Suomen uutiset. This ad is very premature and of course inappropriate "news" from national TV station. 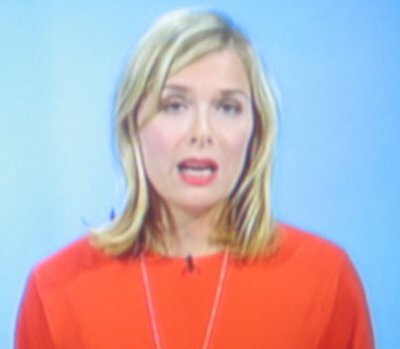 YLE regional TV news presenter Marjo Pirilä is advertising. Many other TV stations and newspapers have also advertised just this firm and no other furniture firms at all. The Finnish media seems to be very corrupted or bribed. 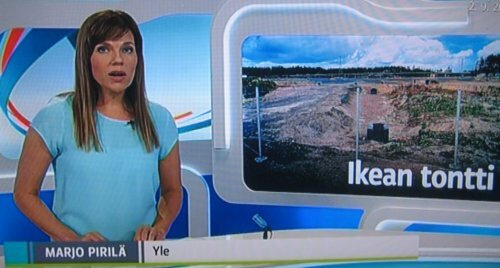 Especially YLE regional TV news programs are notorious for advertising the Swedish furniture store for years. For example in 2006 YLE TV2 Northern Finland TV news (Pohjois-Suomen uutiset) advertised this firm no less than eight times: 17.1.2006 over 2 minutes, 25.10.2006, 14.11.2006, 15.11.2006 three and half minutes advertising out of 10 minutes, 20.11.2006 regional TV news presenter Tuomo Tokoi called it popular and TV showed firm's logo for 3 seconds, 22.11.2006, 7.12.2006 and finally 20.12.2006. YLE is a totally corrupted TV station because of its polical connection and corruption in Finland. The (lying) media has been totally silent on this obvious surreptitious advertising. In 2008 a Swedish-Finnish company closed down a pulp mill at Kemijärvi. Many people, including politicians, resisted this across Finland. I read dozens of articles about this Kemijärvi pulp mill case. Just one article told the truth: Wallenberg family was behind this, according to Jouko Suomalainen from the Finnish Paper Workers' Union. Finnish TV and most newspapers never mentioned Wallenberg by name. Finnish media hardly ever mentions influential businessmen, such as Wallenberg. 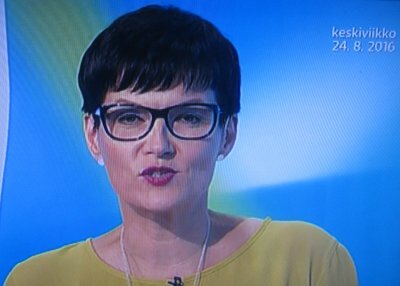 There is hardly a day without propaganda on Finnish TV. 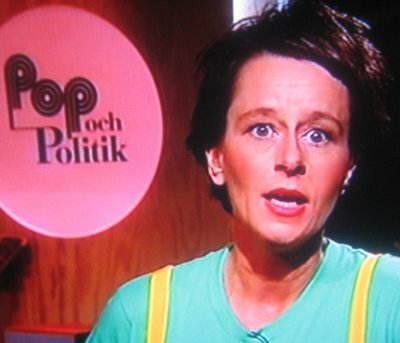 Finnish TV channels have broadcast political propaganda as far as I can remember. One reason for censorship is that Finland's struggle for existence has been hard. It has been an easy way to rule by keeping the people unaware. Sweden's government constantly interferes in Finland's internal affairs. It has a close contact with Finnish politicians. The media has never told this. Finnish media has never mentioned that some politicians are actually puppets of Sweden. Most Finnish TV journalists are loyal to the governments and politicians. A regrettable thing in Finnish journalism is that some journalists are in secret party members. For example TV journalist Petri Sarvamaa is a National Coalition Party member. But this fact was secret before the electoral campaign in 2009. Sarvamaa is now a member of the European Parliament. Probably many other TV journalists are party members too. TV presenter Petri Sarvamaa's program A-studio on January 31, 2007 interviewed locals in Imatra, South Eastern Finland. 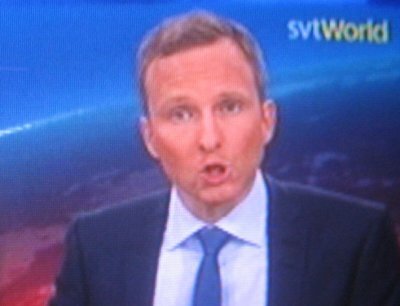 YLE TV1 showed them saying several words of no importance on TV (censored: but not their actual message to oppose mandatory swedish). Soon after a local newspaper told that parents, teachers and pupils seen on TV wanted to get rid of mandatory swedish. But they were not allowed to say this on TV. Petri Sarvamaa and YLE journalist Pasi Peiponen were responsible for censorship. Who told them to do so? The politicians and government. YLE news interview programs (A-Studio, Ajankohtainen Kakkonen etc) have never dealt with the language law or language law bill. Also the other Finnish TV companies have kept silent on this subject. For example the TV program 45 minutes of MTV3 has never told about the language law. In Finland there are three major TV companies, YLE, MTV3 and Nelonen. The Finnish TV news seldom mentions mandatory language teaching. Also magazines and newspapers write seldom about mandatory swedish. And if they do so, most if not all articles on this are one-sided. As far as I know the TV News has never told that the majority of the Finns is against mandatory swedish. And newspapers and magazines are almost as hushed as TV. However there is an exception when Kaleva newspaper (and 5 other newspapers) published on January 2, 2010 an opinion poll on mandatory swedish. It told that 66 percent of the Finns is against the mandatory swedish. The rest of the newspapers seem to be censored by government, because they are silent on this. 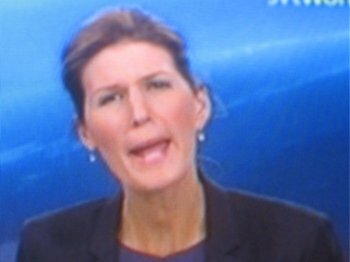 Perhaps only weather forecasts are reliable on Finnish TV News. Are the weather forecasts on Finnish TV always accurate enough is of course another question. Unlike TV anchors, meteorologists on television and radio probably do not have political connections.